Your new secret weapon The new Wave Stealth V is, quite simply, the most stable, most cushioned handball shoe Mizuno has ever made. Yet there’s nothing simple about its design. We see the constant physical battles faced by pivot and backcourt players, so we understand they need a shoe that offers superior stability and support, but one that’s also lightweight and provides supreme comfort. Every component of the shoe has a purpose. 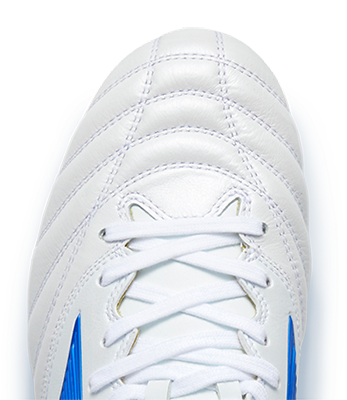 Thanks to Mizuno’s Wave technology, it delivers excellent all-round stability and enhanced midfoot and lateral support. The outer heel counter provides hold and stability to maximize power transition, and dynamic cushioning helps the new Wave Stealth V fit better and with its sleek silhouette, look better. Despite these added improvements, we haven’t added to the weight of the shoe. In fact, we’ve made it lighter than ever; just 320g, to give you the Power to Perform!